Jill Schrank understands that today’s competitive housing market requires an agent who is willing to go the extra mile, market for results and put the client first. 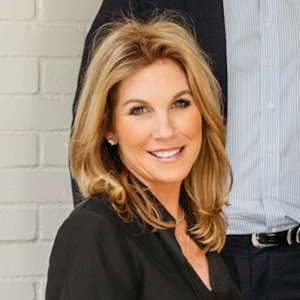 With nearly a decade of experience in commercial real estate investing and homebuilding, coupled by a proven background in sales, management and public relations at Neiman Marcus, Jill brings unmatched service, knowledge and expertise to every detail of your real estate transaction. The native Texan and graduate of Texas Tech University with degree in Marketing Merchandising, began her real estate career out of college and today combines her passion for homes with strategic marketing to deliver exceptional results to home buyers and sellers across Dallas. A critical component of Tom Hughes’ top-producing team at Compass,, Jill’s number one priority is to provide a superior client experience. From lending a keen eye on new builds and remodels, to helping clients discover communities that suit both their needs and lifestyle, Jill ensures a fun, positive atmosphere focused on exceeding expectations. Jill lives in University Park where she is actively involved in HPISD schools and Highland Park Methodist Church. She enjoys cheering for her two sons at their sporting events, working out and staying plugged into what’s happening in the Park Cities and surrounding neighborhoods. If you’re seeking a dedicated professional with a high attention to detail, deep-rooted local knowledge and personalized approach, give Jill a call.